I walked into a room that was the bedroom of a Queen in a prior life to find globally represented youth sitting at clothed tables and chairs anxiously awaiting the beginning of the inaugural GCE Youth Caucus, a precursor to the Global Campaign for Education’s 6th World Assembly. While a beautiful setting, this regal room was a distant reality from the majority of the global youth we would be advocating for over the next two days. Despite the distance, it was obvious that a group of strong leaders and forward thinkers had been brought together to advocate and represent the youth voice in the global education movement. I walked away from the World Assembly feeling as if I had known this inspiring group of powerful young people for years. The time between walking into a Queen’s bedroom and leaving with new friends, motivation, and knowledge consisted of a multitude of opportunities. I feel fortunate to have been a part of and honored to be a youth representative for GCE-US. I participated in the passion-filled, unanimous emergency vote to elect not one, but TWO youth seats to GCE’s board. 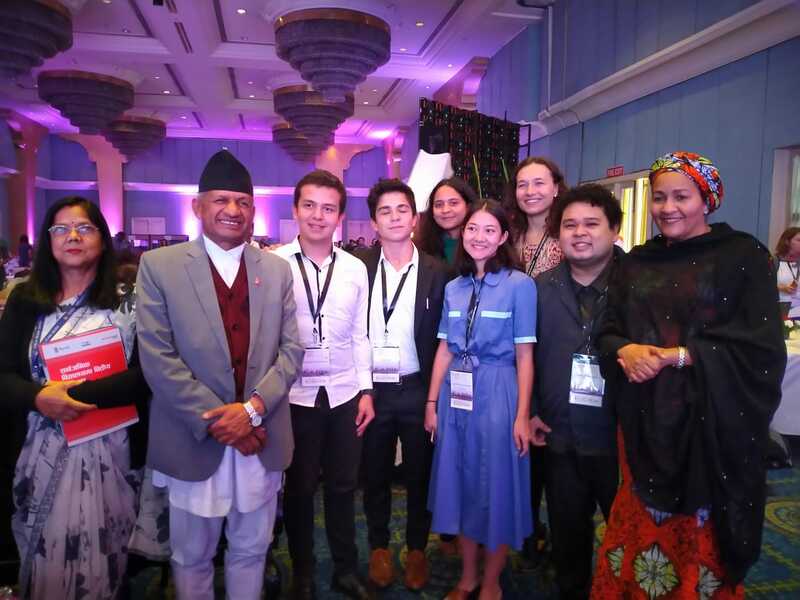 It was decided by coalition partners from every region of the world standing at the front of the room holding their voting cards proudly above their heads in favor of a second youth seat. I also heard the UN Deputy Secretary General, Amina J Mohammad, step up as an ally to the youth movement in her empowering call to action for young people not to wait to be invited to the table because “[she] certainly didn’t.” She encouraged us to be “disruptive” to ensure our voice is heard. Although, I will acknowledge that executing her disruptive call to action without risk to bodily harm and safety is a privilege that not all young people around the world have access. There are currently students and young people across Latin & South America being beaten and killed for doing exactly that. I look forward to seeing how those safe spaces will continue to be created and advocated for in the global education space and movement. There is power in bringing young people together to push for our collective and individual voices in areas where we have previously not had a platform, and we are ready & willing to capitalize on that platform to ensure that our voices are heard. As we move forward, I ask for patience as we work to shape our unified voice, continue to learn, and ensure our newfound empowerment is constructively added to the global education movement narrative. I started the week walking into the Youth Caucus not fully knowing what to expect and excited to have a seat at the table, and I came out understanding the importance and strength of the youth voice. We don’t just deserve a seat at the table, we deserve a microphone at the front of the room, and this global youth movement is the first step in creating that microphone for ourselves. Taylor Rogers is a youth activist, global education advocate, and environmentalist. She is a GCE-US Youth Advocacy Leader and a founding member of 260by26, a youth led international nonprofit focused on achieving global education equity. She has a B.A. in international development from Loyola University Maryland, and currently runs the 100% Committed campaign, a national campaign focused on cities, universities, and businesses transitioning to 100-percent renewable electricity by 2030, at The Climate Reality Project.